Do you want healthy, radiant, beautiful skin? Sure you do. Did you know that there is over 70 trace minerals and elements in your body that trigger thousands of essential enzyme reactions that keep your skin healthy and beautiful? Now is the time for you to take charge of your skin. Even though trace minerals are found in our bodies, the body does not manufacture these vital nutrients and they must come from an external source. Our recommended daily fruit and vegetables should supply a good amount of these minerals. But the more our soils are tilled and exposed to chemicals and weather the more these minerals are leached out. The body is depleted of trace minerals and elements every day through a variety of natural functions. What to do…I guess thats the million dollar question. Stay with us… tomorrow we will begin a series of posts that will help you make sure you have these minerals, and how they can and will affect your inner, and outer beauty. If you want skin that looks and feels and truely is healthy, you wont want to miss out. Please, share this with all your friends. Ojaván Products create organic products that help women, and men, retain natural beauty and healthy skin. Daily life and the environment along with pollutants and free readicals strip the skin of its natural minerals and elements. every product contains over 80 minerals and natural elements that help rejuvenate and replenish the skin. Ojaván Products are free from any toxins or pollutants and are as nature intended them to be. The Ojaván company name and all product names all have similarities and ties to Native American words and meanings. We believe the Native American relationship with nature, the Earth and the Universe is one of wonderment and reverence. At Ojaván we adhere to the beliefs and philosophies of the Native American culture and use natural products for healing and benefiting our lives. Our corporate offices are based in Ogden, Utah. 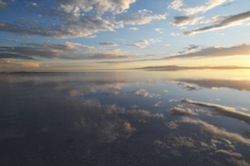 We regularly visit the shores of the Great Salt Lake located only a short drive away, to take in the wonder of this glorious lake. This entry was posted in Feed Your Skin and tagged Acne, Body, Face, Face Mask Body Scrub, Green Products, Orgainic Products, Skin. Bookmark the permalink.